Well, as you would expect, concealed carry permits in Washington D.C. have spiked now that the cumbersome and possibly unconstitutional “good reason” provision has been gutted. The fight for carry rights in D.C. has been a years-long battle. The fight tilted in the favor of gun rights groups when in 2014, the courts ruled in the Palmer v. DC case that it was unconstitutional for the city to ban lawful residents from carrying their firearms outside of their homes. A 90-day stay was issued to allow the city council to draft a new ordinance accommodating the ruling. Of course, the new ordinance contained a “good reason” or justifiable need clause, meaning the city could arbitrarily reject concealed carry applications. It’s the same in many blue states. Let’s look at this in another way. 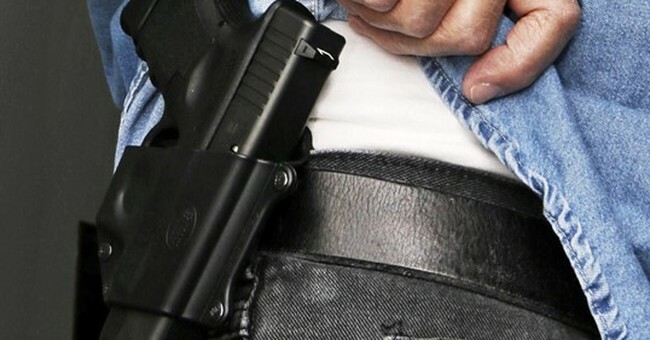 Pro-gun rights groups have finally fought for carry rights to be recognized in every part of the country. Now, it’s about tearing down one anti-gun provision at a time. The fight goes on, folks.